Environ® is a globally recognised and loved professional skincare brand that is built on science, beauty and care. Environ believe that skin has a life and that vitamin A is the “oxygen” it needs to look beautiful and healthy for life. It is for this reason that they actively pursue skin care science to skilfully and consistently develop best-in-class, scientifically researched and developed products that work with skin. 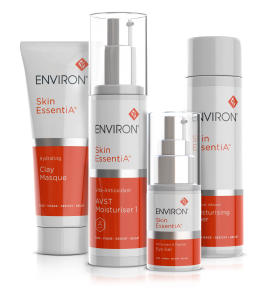 It is because I want to offer the very best, up to date skin treatments that not only promise results, but actually gives results, that I decided to bring Environ into the Salon to run along side Dermalogica. It also enables me to offer you the very best Skincare that your skin needs and deserves no matter what concerns or results you require. To avoid confusion for yourself, it is strongly recommended that you book a Face mapping consultation before booking a facial. This service is complimentary and usually takes around 15-20 minutes. Packed with nourishing, anti-ageing ingredients, the Active Vitamin Treatment will leave your skin looking radiant and dewy. 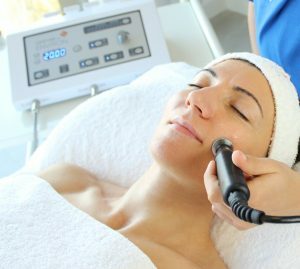 The freshest, most active forms of Vitamin A, C and anti-oxidants are driven deep into the lower layers of skin using soundwaves and small electrical pulses. This scientific approach stimulates Collagen to soften lines and improve elasticity, increase hydration and boost radiance. The Active Vitamin Treatment is suitable for all skin types and is particularly effective at addressing sun-damage, pigmentation, premature ageing, dryness, uneven skin tone and scarring with measurable differences after just one active session. 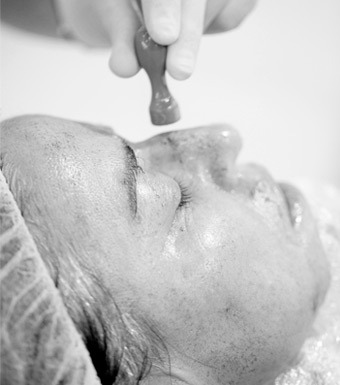 The treatment uses gentle soundwaves to drive a special nutrient packed serum deep into the lower layers of the skin. The formula contains a unique combination of three peptide complexes which work in synergy to give skin a plumper, more radiant appearance. For Botox results without the Botox !!! The treatment targets the same chemical complexes as injectables without the associated risks, and uses a special penta-peptide serum to target frown lines and achieve dramatic results. The unique combination of active ingredients is driven deep into the skin to soften lines and reduce muscle tension in the forehead helping to prevent new lines forming. Perfect before a special occasion to give that flawless smooth skin we all crave. The perfect antidote to dry, lacklustre skin, this intensive treatment deeply hydrates while plumping and firming the skin. Based on Hylauronic Acid, which holds 1000 times its own weight in water, it helps to reduce fine lines caused by dehydration and increase the plumpness of the dermis, resulting in moisturised, glowing skin. A specific treatment on targeted areas, perfect when time is limited. This revolutionary approach to peeling achieves incredible results without damaging the skin. Low strength Lactic Acid is used to reduce the skin’s PH and trigger the release of growth factors, which creates tighter, smoother skin. It destroys bacteria, boosts hydration and removes the build-up of dead skin cells, helping to decongest the surface and smooth its texture. The Cool Peel is ideal for clients with lines and wrinkles, rough or problem skin, sun damage and Rosacea. 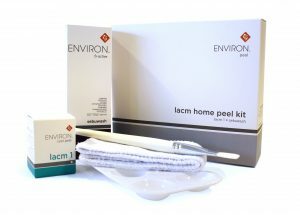 Unlike other peels, there is no downtime, and the skin is left feeling fresh rather than uncomfortable, although some slight peeling may occur after several days. 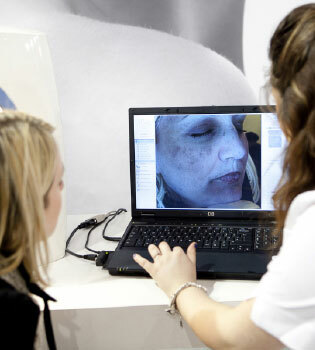 You must be on the Environ homecare for 3 weeks before a treatment.